So you’re looking for a rewarding career that offers a flexible schedule, balance in your work and personal life which incorporates something you love? Why not discover how to become a Pilates instructor to see if this growing industry is the career choice that will offer you what you’re looking for! Pilates is one of the top fitness trends in the world and has steadily grown in popularity over the past 50+ years. 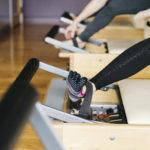 In fact there has been a bit of an explosion in the demand for Pilates in the past 5 years as Pilates is being touted as the best fitness option for more health-conscious individuals and older adults. Between 2007 and 2012 revenues from Pilates and Yoga studios (estimated together in published statistical documents) increased by 2 billion dollars and it is estimated to grow another 2 billion or more by 2017. 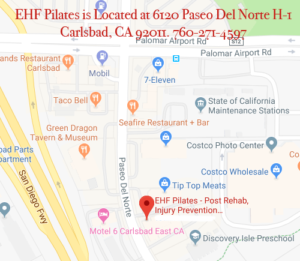 Pilates effectiveness and staying power is proven in the fact that many Physicians, Physical Therapist, Chiropractors and other body workers are sending patients to Comprehensively trained Pilates Instructors for post-rehab care. Franchises are opening around the world offering Pilates as an intense form of physical fitness training and professional sports teams are adding it to their roster to keep their athletes stronger and more flexible in addition to helping with their post-rehab return to the field. If you are interested in becoming a Pilates instructor make sure you understand the time, commitment and finances required. To become a comprehensively trained Pilates Instructor means a lot more of everything… unlike a group fitness instructor or Personal trainer who can receive their certificate in one weekend or week or online. If you are interested in obtaining an education from a reputable Pilates program you must understand it may take a year of your time… you may feel like you are in a college semester… and it will financially cost more than a simple Personal training certificate. So now that you understand the basics of the industry, where do you start? 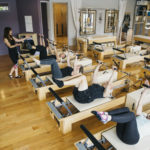 Immerse yourself in Pilates classes (reformer and mat) to learn the exercises, your own body and ask to observe other teachers (depending on the studio this may or may not be offered at cost). Attend at least 30 hours of classes and practice consistently to make sure this is something you are passionate about… passionate students become the most successful trainers. Try to attend classes from a variety of reputable teachers and studios to determine which style you are drawn to (traditional vs progressive) and what path you wish to follow. Ask lots of questions if your favorite trainer is available (please do not disrupt their training time with other clients) and gather as much information about several different programs in your area so you may compare them. Check The Pilates Initiative or the PMA for the Certification of your Master trainer to ensure you will be offered a reputable and transparent program from a quality and certified educator. Am I self-motivated and reliable? Do I have an interest in body mechanics, anatomy and exercise science? Am I willing to continue my education and learning in order to enhance my skills as a trainer to benefit my clients? Am I interested in a flexible schedule and willing to work some evenings, early mornings and perhaps weekends? These are just a few important questions to consider. Decide if you want to do this on the side or as a career. A mat Pilates certificate program prepares you to teach group Pilates mat classes, like what is offered in most gyms and a few studios, apartment complexes and some large corporations who offer training to employees at lunch time or before or after work. Working as a mat Pilates teacher is a great side job but usually only offers a few hours per week of training… if you have another job or are a full-time Mom or Dad this may be the best option for you to start with as you will have other responsibilities to attend to. A comprehensive Pilates educational program prepares you to work with clients on Pilates apparatus (reformer, chair, trap table, etc.) in addition to teaching mat Pilates (which is fundamental in any reputable program). If you interested in working part or full-time as a Pilates Instructor and training private and semi-private clients as well as group apparatus classes you must complete a reputable comprehensive Pilates educational program. It is highly recommended you pass the PMA (Pilates Method Alliance) or the PI (Pilates initiative) exam to receive your Pilates “Certification”. Beware of companies who claim you are “certified” after you complete their program… chances are they are using semantics… All programs offer a “certificate of completion” but the only way to truly obtain a National “Pilates Certification” is to pass the PMA exam… which can not be taken until you have completed a reputable comprehensive Pilates teacher training program . There are several reputable educational programs available and many which are not… that’s why doing your own research is extremely important. Ask your favorite teachers about their path and recommendations but read all the information about the program including the policies for each individual program and determine if you are best suited to teach traditional or contemporary Pilates. For info on PSC’s Teacher Training program click here. A reputable mat certification may cost somewhere between $300 – $500… online programs should always be avoided as they fail to o ffer a good foundation for tactile cueing, modifications and variations in the method. For a comprehensive Pilates teacher training program you can expect to pay anywhere between $4000 – $7000. Keep in mind that many programs appear to cost less but have hidden charges for observation hours, make up class fees, re-test fees and fees for different levels (i.e. you can not test out of the program until you complete Reformer / Trap table A, B and C and each level costs more $$$). It’s best to find a program with a comprehensive rate to avoid costly and unforseen expenses in the middle or near the end of the program. Also find out if continuing education units can be obtained through other educational providers to keep your certificate current. If the program doesn’t accept other educational workshops for CEU’s, keep in mind that when you attend a class outside of their “network” you will not get any credit and will still have to pay $ for their workshops. A comprehensive syllabus which includes specific guidelines on retaking or making up missed exams and classroom hours, guidelines and rules of conduct. What are a few things to look for in a program? Any reputable studios will require student liability insurance. This may be found online through the PMA, Idea Fit, Pilates Insurance Plus and many other outlets. Some studios may know of other insurance companies who offer very inexpensive insurance to students… ask the Program Master trainer! This will allow you to train clients as a student to complete your practice teaching hours. Keep in mind additional insurance will be necessary once the program is completed in order to work with the general population. The Pilates Method Alliance is the governing body for the Pilates industry promoting safety and higher standards in the industry. Since this is an unregulated industry it’s not required that you pass the exam but it is HIGHLY recommended.The PMA (Pilates Method Alliance) offers the ONLY third-party certification today in the Pilates field and proves to future employers and clients you are serious about your education and your career. Any reputable program will include most of the material you will be tested on when you take the PMA exam… so you should be ready to take and pass it after completion of the program. Discover more about the PMA Exam here. A reputable comprehensive Pilates teacher training program should be able to offer continuing education units to satisfy both their program in addition to the PMA’s requirements and will usually accept CUE’s from other reputable programs and anything offered by the PMA. This will save a lot of money in the long run as trainers do not have to attend multiple workshops in order to satisfy requirements for their program and their “certificate”. Honestly, you should never stop learning and growing as a Pilates instructor. The more workshops and education you are exposed to the better you will become as an instructor and the more confident you will become working with special populations and in specific niche markets. Since your comprehensive Pilates teacher training program is only the beginning of a long and reputable career, it is important to choose a school and Master Trainer who will help you with a better education and higher platform from which to begin your fantastic new career. Now that your research is completed, it’s time to submit your application and secure your place in your program… good luck and happy career! ©2015 Enhanced Health & Fitness Pilates | EHF Pilates | All Rights Reserved.